AB 1209: Assembly Bill 1209, or the Gender Pay Gap Transparency Act, would require employers with at least 500 California employees to collect information on differences in pay between male and female exempt employees, by job classification and title. 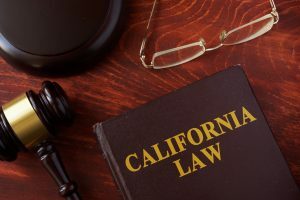 Employers would be required to begin collecting this information by July 1, 2019, submit the information to the California Secretary of State by July 1, 2020 in a form consistent with California’s fair pay statute, and to provide an update to the Secretary every two years. This information would then be published by the Secretary of State on a public website. The data published would not include factors such as employment experience and seniority - both of which are lawful and legitimate reasons for wage gaps. Such reporting would open a can of worms for lawsuits under California’s Fair Pay Act, in which a wage gaps is presumed to be a result of illegal discrimination. The burden of proof would then fall on employers, who would have to spend time and financial resources on defending their reasons for such wage gaps. SB 33: Senate Bill 33, if passed, would create an even worse litigation environment in California and result in lack of job creation. The bill itself has been amended eight times yet still contains confusing terms ambiguity, and inconsistencies that would only to benefit trial attorneys and their ability to pursue costlier litigation. Not coincidentally, this bill is being sponsored and supported by trial attorneys who prefer class action litigation over arbitration because the former provides a significantly higher financial recovery for trial attorneys. For example, in a class-action case in which it was alleged that LinkedIn wrongfully used members’ contact information, the case settled for $13 million and the funds were divided as follows: $1,500 for the named plaintiffs; no less than $10 per class member; and $3.25 million for attorney’s fees and costs. While SB 33 is meant to impact financial institutions, like Wells Fargo, it is not limited to the fraudulent creation of financial accounts. The broad definition can include any individual or entity licensed to sell securities and insurance products. Too many ambiguous terms in SB 33 means more California businesses will be even more at risk of costly and often unnecessary litigation. SB 63: Senate Bill 63, or the New Parent Leave Act, would extend employee parental leave protections to employers with 20 or more workers. The current parental leave law only applies to employers with 50 or more workers. The bill would require that California small businesses (20 to 49 employees) offer workers up to 12 weeks of unpaid, job-protected family leave to bond with a new baby or child and would allow more California workers who currently pay into paid family leave programs the ability to take leave themselves. This bill was meant to be an answer to last year’s vetoed SB 654 which would have required a 6-week protected leave of absence, however it does not adequately address the Governor’s veto message. In reference to SB 654, Governor Brown said last year, “It goes without saying that allowing new parents to bond with a child is very important and the state has a number of paid and unpaid benefit programs to provide for that leave. I am concerned, however, about the impact of this leave particularly on small businesses and the potential liability that could result.” This bill would also impact workplaces with fewer than 20 employees, because multiple locations in a 75-mile radius owned by the same employer would be combined under this bill to determine the employee threshold. In addition to stretching a small business’ resources even thinner, a violation of SB 63 is considered an “unlawful employment practice” opening up these small businesses to further litigation. While it is widely speculated that Brown will veto SB 63, due to the fact that it does not address the concerns he had regarding last year’s SB 654, the outcome of the other two bills are up in the air. California’s Chamber of Commerce and other California businesses leaders are calling for vetoes on all three of these “job killer” bills. The last day for Governor Brown to veto these proposed bills is October 15th, 2017.